Scaffolding with Students: What? Why? How? A colleague and I were discussing scaffolding, which led me to review some of my materials. The purpose of this post to share a few materials on scaffolding. Scaffolding is how we structure our strategies to make content more comprehensible and compelling for students. Scaffolding is the gradual withdrawal of the teacher’s pedagogical support when a student moves from learning in groups to independent learning and mastery (Roe & Wink, 2012). Second, why do we, teachers, scaffold learning? Wood, Bruner, and Ross (1976) coined the term when they wrote about a tutor who was interacting with child and a wooden puzzle of a pyramid. Wood et al state that the two are working on “a ‘scaffolding’ process that enables a child or novice to solve a problem, carry out a task or achieve a goal, which would beyond his unassisted efforts” (p. 90). Scaffolding originated with Vygotsky’s notion of the Zone of Proximal Development (ZPD). 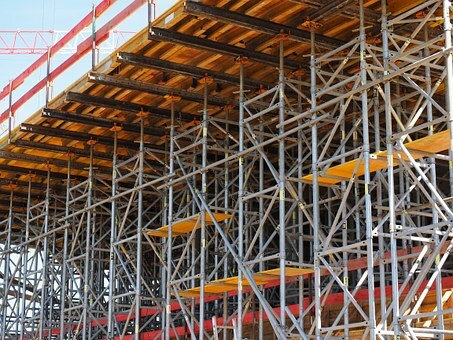 Many think of scaffolding in the construction business, but it is now almost a prerequisite skill for all teachers. It is particularly effective with students who are in the process of acquiring a new language. Third, how can teachers do it with students? We do (or, the individual will…). 2012 Great Valley Writing Project: I do. You do. We do. Click here to see this presentation, which begins with scaffolding and moves into TPS (Total Physical Response) and then into TPRS (Teaching Proficiency to Reading through Storytelling). This is the handout, which we shared with the participants at this session. 2012, TESOL: The participants generated this long list of ways of scaffolding with students.